Long-time Chicagoland Radio Personality Jonathan Brandmeier has been let go by The Loop (three months early from the sounds of things). Johnny B. was one of the biggest names on radio for the past 30 years, but he now finds himself (like so many of us) amongst the unemployed. “Johnny B.’s the best and he’s got awards to prove it. But now the suits say it’s cheaper to play music. Hey, monkey, push a button and play another song. Talent on the radio just doesn’t belong. Enjoy this crap while you can ’cause it won’t last long. It’s the last time I raise a ship from the dead. Click here: YouTube - JOHNNY B "UNEMPLOYED MO FO"
Seems like some hearty congratulations are in order for our radio buddy Scott Shannon ... check out THESE news clips! Scott tells me he’ll be working “primarily with the major-market music stations, but will be available to work with all Citadel properties, on an as-needed basis.” So call him an in-house consultant who’s already got a very full workload at WPLJ, New York (PD and morning host) and the Citadel Media-syndicated True Oldies Channel (one of the loves of his life, now on 66 stations). Turns out Scott’s been working with Los Angeles classic rocker KLOS (95.5) – and the results are strong enough for CEO Farid Suleman to give him the VP / Programming title and the opportunity to “assist program directors at Citadel’s major-market stations with overall programming and content decisions.” L.A. manager Bob Moore says Shannon’s been “the architect of the new direction at KLOS, which has propelled the station to its highest ratings in the past 20 years.” Scott famously took onetime beautiful-music WVNJ, Newark (100.3) from broom-closet status to top 40 winner as New York’s Z100, in a miraculous feat of “worst to first.” He later journeyed to Los Angeles to do “Pirate Radio” KQLZ and returned to New York in 1991 at hot AC WPLJ (95.5). CITADEL BROADCASTING CORP. has named Hot AC WPLJ / NEW YORK PD and morning co-host SCOTT SHANNON as VP of Programming for the company. SHANNON will remain PD at WPLJ and will continue to program CITADEL MEDIA's TRUE OLDIES CHANNEL while adding duties assisting CITADEL's major market PDs with overall programming and content direction. "SCOTT is one of the preeminent radio programming talents in the industry and we are very fortunate to have him as part of our company," said CEO FARID SULEMAN. "He has been instrumental in recent successes and innovations at several of our stations as well as the network." "SCOTT's contribution to radio are legendary and his success are many," said WPLJ and WABC-A / NEW YORK Pres. / GM STEVE BORNEMAN. "He is a proven resource for us and simply the best music programmer in the industry today. During the last 12 months, we’ve been able to elevate WPLJ to some of its highest ratings ever, clearly positioning us as one of the leading stations in NEW YORK. I’m delighted about his new position and know he will continue teach us all how it’s done. Meanwhile, Hit Parade Radio is moving forward at a stepped-up pace right now, too, thanks to the acquisition of Liz Doyle, who'll now serve as Vice President of Operations for the network. With a stellar track record behind her, John Rook is anxiously awaiting the results of what Liz will do to help market this exciting new format, catering to the demographic that traditional radio has chosen to ignore for decades now. I’d like to introduce myself. I’m Liz Doyle, the new Vice President of Operations of Earthworks Entertainment’s, Hit Parade Radio. The first quarter of 2010 we are introducing our newest programming network, Hit Parade Radio. It targets the largest and fastest growing demographic group in America; 45+ year old adults, 70 million people and 28% of the population. This demographic is also the most underserved radio audience as well. Hit Parade Radio is the creation of John Rook whose programming successes are well known at dozens of stations nationally including WLS-Chicago; WCFL-Chicago; KFI-Los Angeles and KABC-Los Angeles. John brings a wealth of experience and a gifted feel for what attracts radio listeners. The on air talent is anchored by Larry Lujack and Wink Martindale. Larry, the first “SuperJock” in the US started his career in 1958 and is best known for his work on WLS and WCFL in Chicago. Inducted into the Illinois Broadcasters Association Hall of Fame in June 2002, the Radio Hall of Fame in November 2004 and the National Association of Broadcasters Hall of Fame in April 2008, Larry Lujack is a magnet for radio consumers. Wink Martindale is the recipient of many awards including a star on the Hollywood Walk of Fame. His voice is one of the most recognized in radio. He also has hosted several syndicated TV shows and numerous game shows nationally. LuJack and Martindale bring their experience, unique personalities and style, knowledge of music and ability to communicate to Hit Parade Radio. Hit Parade Radio offers a great format along with state of the art digital and marketing support. I invite you to listen for yourself by clicking on www.HitParadeRadio.com or via Wi-Fi, our latest and greatest method of digital delivery. I look forward to talking with you about Hit Parade Radio and your market needs and how we can help you achieve them. This Friday night I'll be celebrating 8 years on the Internet with topshelf oldies. After I tell you this weeks schedule, I'll reminisce about the past a bit. This week I'll be featuring a little bit of everything from my collection. I'm saving 9 PM for a couple of special things. Of course it's country music at 12 AM on Midnight Country. I'm thinking back to when I was a kid and wanted to be a Dee jay. I remember my old Wollensak tape recorder. I did my show on that little machine but I was the only one who heard it. Back in 1960 / 61 I was a weekly guest on a folk music program called "Folklore with Lorrie." The host was George Lorrie and I used to preview different folk albums that George gave me to listen to. When I went into the service I was doing oldie shows in 1961 at the Service Club at Fort Dix, NJ. I was playing music from the 50s which were starting to be called oldies. I always ended my show with a new song that just came out called "Good Goodbye" later renamed "So So Long". The song was by The Bob Knight Four and I still sign off my show with that theme song today. When I came out of the Army, I spent many hours being MC of folk concerts at a place called The Community Cultural Centre in Brooklyn, New York and in the summer we moved the weekly concerts outdoors to a place called Sea Side Park. I was instrumental in getting some great people to sing for this non-profit organization. My old buddy George Lorrie did a concert for us. Besides being a Dee jay, he also sang. I had folk singer Barbara Dane, Tom Glazer, The Beers family, The Bergerfolk and several others did me the honor. I also did MC work in Prospect Park for local bands from the area. As time went by, it was suddenly the 1980's and I was on a weekly country music program in Elizabeth, New Jersey with Freddy the German Cowboy. I had a 15 minute portion of his show and I always made it seem like a big production. A couple times Freddy couldn't make it so he let me do the entire show. We later moved to WCNJ-FM in Hazlet, New Jersey. This was non-commercial radio and Freddie was paying for it as he reminded everybody that he owned The Blue Ribbon Inn. You must try mama's home cooking and especially her pierogies. When Freddy moved to this station he bought a block of time Monday through Wednesday at midnight. Our theme song was "Just hooked on country" which I fell in love with and use on my country portion of The Pop Shoppe every week. Now Freddy was on Monday. I had Tuesday to myself and Freddy was on Wednesday. I programmed all 3 programs and learned a lot in those days. There was time open earlier in the evening and I got the job of filling in any free time. I started something called "Return to Bleecker Street", a folk music show. Some weeks I did specials of different artists like Jane Olivor / The Surpremes and so many others. It was 1985 and I started fooling around with "The Pop Shoppe". This name actually came from a round robin tape club that I had been running. One day Freddy had enough with this station that just didn't cover enough area for him. The management liked the response to my show "The Pop Shoppe" so they let me stay on. In spite of the limited coverage the station offered, I was there for several years. Eventually several of the Dee Jays left to help start a new station in Freehold / Howell, NJ. It was there that I met Hattie who sits in for me when I take some rare time off my show. Our Program Director Dlanna eventually left and started topshelf oldies. In 2001 I joined her Internet station. I've been here ever since. And that address can be used to contact me during my show or anytime. Remember this is my 8th year celebration. You must be here this night because I don't want to be alone. And finally, just one more reminder that you can now catch our very own Forgotten Hits on the Radio broadcasts over at our new podcast site. First up on the web: The Entire Top 50 Favorite Instrumentals Countdown, featuring Phil Nee of WRCO. Also posted: Forgotten Hits on The Flip Side Show with Mr. C. Both programs are fine examples of how some of our newsletter features have crossed over to oldies radio. Meanwhile, Scott Shannon's still getting major mileage out of our "First 45's" feature, too! Yep, Forgotten Hits is ALL over the radio lately ... be sure to check us out when you get a chance! I couldn't be more pleased! 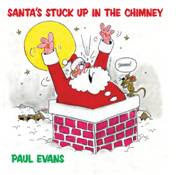 The other day when we featured Paul Evans' 1959 Top Five Hit "Seven Little Girls Sitting In The Back Seat" we heard from Paul ... who told us that he was still recording and performing ... and even had a Christmas song of his own to share with our readers!!! A friend of mine put me onto your blog because of your recent article mentioning the hit song "Seven Little Girls Sitting In The Back Seat Kissin' And A-Huggin' With Fred"!!! Well, I’m the Oldie that sang “Seven Little Girls” – and I’m still hacking away at the music biz. Anyway, if you get a chance, please click on the album cover link below. And please let anyone – particularly anyone with children – know about the video. Click on the link below to see the video. On behalf of myself and all The Buckinghams, we wish you and all your readers a very Merry Christmas and a Happy New Year. Much success for 2010 ... Forgottenhits.com is the best! Here's another great track from The Buckinghams' new Christmas album "The Joy Of Christmas" ... it's their take on a Christmas Classic ... and one of my all-time favorites ... "Have Yourself A Merry Little Christmas". You'll hear a fair amount of Beach Boys Christmas Music every holiday season ... but one of the BEST new Christmas songs in recent years seems to barely get acknowledged these days ... here's another one of my favorites, "Hey Santa", by Brian's daughters, Wendy and Carnie Wilson! Two of the artists who made a MAJOR impression on our recent Top 50 Favorite Instrumentals List were Booker T. and the MG's (who placed THREE songs in the countdown!) and Santo and Johnny, who had the #1 Favorite Instrumental of All-Time with "Sleep Walk." (You can catch the complete list on The Forgotten Hits Web Page ... Click here: Forgotten Hits - Top 40 Instrumentals, 1955 - 1979 ... or listen to the countdown as it aired on Phil Nee's WRCO Radio Program over Thanksgiving Weekend: www.forgottenhitsontheradio.mevio.com. 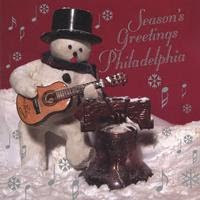 This is a Christmas CD that I co-produced & engineered in my studio, Geo Sound, here in Philadelphia in 1998. It's an 18 song holiday compilation ... and it promises to be fun for the entire family ... featuring all Philadelphia artists including Tommy Conwell, Marah, Buzz Zeemer, Rolling Haysseds, Mark Boyce Combo, Eltro, John Flynn and 10 other great artists. Mostly Originals. My buddy Bob Lind (former Denver Native of Elusive Butterfly Fame) just put together a holiday tune that caught me off guard ... I think it's brilliant. I have it attached. If you can find room to play it with all the other Xmas Oldies and announce that it's by Bob Lind, I think your audience would love it. It's also available on his website www.boblind.com. Check this out! Holy S**t Bob, this is an incredible Xmas Song! I heard it for the first time today. Let me shoot this to Oldies programmers around the U.S. and see if they can get this on ... you are SO RIGHT! This is Bob Lind circa 1967 ala like Howard Cosell ... "TELLING IT LIKE IT IS"!!! Whoa ... you leave me numb! As an FYI; Randy Brooks lives in the DFW area and often performs his music at holiday events. I saw and met him last year at a Men of Note Concert in Plano, TX. And ... on kind of a related note ... how's this for a nice gesture? I've been sending Christmas Cards to Soldiers in the Hospital. Maybe if you printed this address, some of your readers might want to send out some Christmas Cards. Back in 1966 I was working as a staff writer and producer for Scepter Records. Florence Greenberg, who owned the company, decided to re-release “SOLDIER BOY” by the Shirelles, which had been number one a few years earlier, and asked me to write and produce a new b-side for it. As far as I was concerned there were no b-sides and even though I only had three hours to write and record the song with Shirelles, I was determined not to make it a throwaway. I flirted with Shirley while she was on mike until she gave me the playful performance I was looking for. We recorded just one verse at a time and while she was singing one, I was writing the next. At the end of the session, everything was finished and it was released the next day! Neil Diamond had released 3 Christmas albums - he's Jewish. His latest album contains a cover of Adam Sandler's "Chanukah Song" because Neil says, "I thought I'd throw one in there for my people." By the way, "White Christmas" was written by Irving Berlin - also Jewish. Rudolf the Red-Nosed Reindeer started off as a children's book given away at Montgomery Ward stores in 1939. The book became so popular that it was made into a song in 1949 and a TV special in 1964. Unlike Santa, Rudolf is copyrighted, so Chuck Berry had to pay royalties when he wrote "Run Rudolf Run." The first rap song released on a major label was "Christmas Rappin'" by Kurtis Blow in 1979. John Lennon's "Happy Xmas (War is Over)" is an anti-war Christmas song. In 1969, he and Yoko put up billboards in major cities that said "War is Over (If You Want It)" and, with the help of Phil Spector, turned it into a song in 1971. Paul McCartney's Christmas classic is the much lighter "Wonderful Christmastime," which used a funky synthesizer that later appeared in the hit "Bette Davis Eyes." Wishing good cheer to all at Forgotten Hits. And we got the good word a couple of times this week regarding OUR Christmas Classic, "Lonely Christmas"!!! I finally had a spare hour to update my website, and added a link to both forgottenhits.com, and to your mevio site. Check out: www.theflipsideradioshow.com and see what you think. I'm looking forward to more collaborations with you. Were you able to listen to my 2nd Anniverary Show on Dec 8? It went really well, and I ran 2 of your greetings, including the one about your podcast site. Now I'm making plans for more podcasts of my own. I have 2 years' worth available. Your "Lonely Christmas" is burning up my current holidaze playlist for yet another year. :)! Thanks, John! That's three years in a row!!! We TRULY do appreciate it. I just spoke to Artie Wayne ... and he thought that I should relate a couple of stories to you that are NOT up on my Web site. HOW WAS “ROSES ARE RED (MY LOVE)” WRITTEN? I was in Associated Recording Studios recording demos on some new songs of mine when a co-writer of mine, Al Byron (“Happy Go Lucky Me”, “Something Blue”) walked in and wanted to show me a lyric that he’d just written. Al put his lyric in front of me on the piano. I took a minute to scan it and then I wrote it. I turned around – laughing – but Al wasn’t laughing. “That’s terrific”, he said. I worked on the melody for a couple of weeks, because you can’t write a hit song in under three minutes. But I just couldn’t top the melody that I’d written at my first glance at Al’s lyric. And that’s what you hear on Bobby Vinton’s four-week Billboard topper - the lyric that Al put on my piano and the melody that I wrote in under three minutes. “Roses Are Red (My Love)”, of course, turned into Al’s and my biggest hit ever. Here’s the lesson: You can work on a song for months (and I have) until you’ve finally got it to a point that you think it might be the world’s first perfect song – but no one likes it. But you can work on a song for a few minutes - and - POW! You’ve got yourself a big hit. Go figure. "When they came back, they said the band just wasn't making it. I said, 'I can sing a little, and there's a song you're throwing away that really sounds like something I would hear on the radio.'" Since they agreed that they did, in fact, owe Bobby another recording session, they let him cut two more songs, including "Roses Are Red". Bobby says he recorded it first as an R & B song. "It was the worst sounding thing you ever heard in your life!" he admits. "I'm not really a country singer, but I said we should do it country ... and on the strength of the song, I got a second shot at 'Roses Are Red'." Epic even brought in a new arrangement, strings and a vocal choir. The single went straight to #1, the first #1 Record for the Epic Record Label. In fact, when the record sold a million copies, Bob Morgan became the first record producer to officially receive a gold record in acknowledgment of his contribution! In the immortal words of Comic Book Guy: "Worst class ever!" World-wide pop sensation ABBA, reggae superstar Jimmy Cliff, art-rock (and then very POPULAR rock) band Genesis, the long-overlooked British Invasion act, The Hollies and the "I guess the eighth time's the charm" Stooges. Far more exciting (and some might say more DESERVING) are some of the sidemen / non-performers being inducted next year. Heavy on long-neglected and ignored songwriters, 2010 will see Barry Mann and Cynthia Weil, Jeff Barry and Ellie Greenwich, Otis Blackwell (who wrote some of Elvis' biggest early hits), Mort Shuman (whose most common songwriting partner Doc Pomus was inducted a few years ago) and Jesse Stone ... along with record mogul David Geffen. In a concentrated effort NOT to repeat all my past rantings and ravings on the annual RRHF Inductees list, let's just take a look at what we've got here. Depending on which side of the fence you sit on, probably the two BIGGEST surprises (or disappointments ... again, depending on your fence position!) would have to be ABBA and The Stooges. their EIGHTH nomination. (I still think there should be a limit as to how many times an artist can be nominated and NOT be inducted ... at which point their name should permanently be withdrawn from the ballot. That's the way OTHER Halls Of Fame do it!) With absolutely ZERO hits to their credit, they represent the very anti-ABBA ... yet seem to have been a "pet project" of RRHF President Jann Wenner for YEARS now regarding their induction into what many consider (show of hands???) his own personal Hall of Fame Favorites. This year's final ballot delegates Donna Summer, Laura Nyro, Kiss, The Red Hot Chili Peppers, Darlene Love, LL Cool J and The Chantels to the "bridesmaid" position. For some of these artists, it isn't the first time they've come up short of the necessary votes to make the cut ... based on past experiences, the odds are it won't be the last. If you're surprised to see ABBA among the Rock and Roll Hall of Fame's next crop of inductees, join the club. So is Bjorn Ulvaeus, co-founder of the Swedish pop group. "It's pretty unexpected," Ulvaeus said, reached by phone at home in Stockholm. "It's a wonderful thing, of course. I'm slightly overwhelmed, considering the other people in the Hall of Fame. It's a fantastic thing." "If the Hollies were inducted into the Rock and Roll Hall of Fame, my heart would just be full of good feeling for [Hollies co-founder] Allan Clarke, one of the most underrated rock 'n' roll singers," Graham Nash said in an October interview, before the honor was official. ABBA's Bjorn Ulvaeus said he and the other members of the group -- Anni-Frid "Frida" Lyngstad, Benny Andersson and Agnetha "Anna" Faltskog -- have not discussed plans to attend the ceremony. "We haven't had time to do that yet," said Ulvaeus, 64. "We wanted it to be official, then we'll get together and we'll talk about what we'll do. It's too early for me to say anything." A consortium of concert promoters offered $1 billion to ABBA in 2000 for a 100-date reunion tour. The group declined. Asked if there is a snowball's chance in hell that ABBA would perform at the Rock Hall gala, Ulvaeus laughed. "I don't think so," he said. "I mean, we split up in '82, for heaven's sake. That's a long time ago. "But as I say, we haven't talked yet, the four of us. So we'll see." Iggy Pop says his band has been patiently awaiting this honor for some time. "We've been rejected seven times, and we would have set a record, I think, if it happened again," the Stooges' frontman tells Rolling Stone. "It started to feel like Charlie Brown and the football. I had about two hours of a strong emotional reaction after hearing the news. It felt like vindication. Then I kind of scratched my head and thought, 'Am I still cool? Or is that over now?' "
The news was quite surprising for the Swedish pop group ABBA. "I didn't think this would happen, because we were a pop band, not a rock band," says Benny Andersson, who helped found the group in 1970. "Being a foreigner from the North Pole, this feels really good." The Hall of Fame has earned a reputation for convincing long dormant groups like Talking Heads and Led Zeppelin to perform at induction ceremonies. Though Graham Nash hopes to play with the Hollies for the first time since 1983 ("I'll be there with bells on," he says), an ABBA reunion is less likely; the group split in 1983 and has refused all offers to reform ever since. "It's very tricky because Agnetha [Fältskog] is not flying," Andersson says. "The people who are really fond of ABBA for what we did, I think we are doing them a favor by not going out." He said he wouldn't completely discount a performance, but wanted to talk it over with the rest of the group. "It's 99 against 1 [odds], though." A reunion of the Peter Gabriel era of Genesis, who haven't played together since a one-off in 1982, is more likely — however Phil Collins' recent medical problems have left him virtually unable to play the drums. "I don't think he'd be itching to play early 1970s Genesis music at the moment," says Genesis keyboardist Tony Banks. "Peter [Gabriel] is a bit elusive, but I'll probably talk to him soon and see if he has any concept of what he wants to do. I don't feel a great need to play. I'm happy just to drink." ABBA, The Hollies and Genesis ALL made our "Deserving And Denied" List a few years back ... so we have to at least take SOME pleasure in rejoicing in their long-awaited recognition. Jimmy Cliff?!?!? He was, in fact, an international star (who seemed to catch on everywhere but here) ... and, in his genre of music, is considered a leader. Does he belong in The Rock And Roll Hall Of Fame? Probably ... but not before so many of the OTHER artists who are continually denied consideration year after year after year. I mean, it's hard to even utter another artists' name in the same breath as THESE top-drawer acts, right?!?!? Chicago ... The Guess Who ... Neil Diamond ... oh wait ... these are artists that they've decided are not GOOD enough (or WORTHY enough) to be inducted into The Rock And Roll Hall Of Fame. Connie Francis ... Chubby Checker ... Pat Boone ... The Moody Blues ... Paul Anka ... Three Dog Night ... Linda Ronstadt ... The Monkees ... Tommy James and the Shondells ... Hall and Oates ... Neil Sedaka ... ELO ... artists who not only helped define a generation of rock music but also paved the way for so many that came after them ... ALL of these artists ranked high on YOUR list of artists worthy of Rock And Roll Hall Of Fame induction ... but have NOT been considered worthy enough for consideration by the Rock And Roll Hall Of Fame Nominating Committee. No sir ... instead, THEY'VE given us MEGA artists like Joe Tex ... LL Cool J ... Patti Smith ... The Stooges ... Grandmaster Flash and Afrika Bambaataa to consider. Percy Sledge, Leonard Cohen, Bonnie Raitt ... "rockers" like Buddy Guy and Miles Davis (usually the first names springing from the lips of ANYBODY in the know being asked the magical question, "Who are some of the GREATEST rock and roll artists of all time?") How 'bout The Velvet Underground, Kraftwerk, The New York Dolls and Parliament / Funkadelic??? ALL of these artists were considered worthy enough to garner either a nomination or induction into the Rock And Roll Hall Of Fame by their knowledgeable nominating committee. If you polled a random group of 100 people on the street, how many do you think could sing a song by The Stooges? Afrika Bambaataa? The Velvet Underground? Ask those same 100 people to sing something by Chicago, Neil Diamond, The Guess Who, Paul Anka, Linda Ronstadt, Hall And Oates, The Moody Blues or Tommy James and the Shondells and I expect you'll find a completely DIFFERENT result. No, it's NOT a popularity contest ... we know, we've heard it all before ... but which music made the GREATER IMPACT to the greatest majority of people? Which music had the most profound impact on this ever-developing art? Once again the R&RHOF embarrasses itself by elevating into nomination artists of either marginal or zero rock 'n' roll importance (such as previous ridiculous inductees Leonard Cohen, The Velvet Underground, etc.). This time the chaff among the wheat includes two-(minor) hit wonder Jimmy Cliff (how did this turn into the Reggae Hall of Fame?) and the zero hit flop band Iggy & the Stooges. And the headline on Rolling Stone's news story announcing this travesty OPENS by trumpeting the WEAKEST of the pack (The Stooges) while ignoring the immensely far more qualified Hollies. There isn't space here to list all the deserving acts the HOF has routinely passed over for years (The Raiders, The Moody Blues, etc.). Other letters printed here will do that. Maybe the HOF's idea is to wait until enough of the important rockers they routinely pass over have died, thus denying them the honor while still alive (as happened with key members of the Dave Clark Five and others). It's really unfortunate that such a good idea as the R&RHOF has deteriorated into simply a list of the performers on Jann Wenner's personal iPod. Hope you, and yours, are well. "Early In The Morning", from last send, tweaked my unconscious. (I recall that tune from radio, or perhaps even the shampoo commercial that was mentioned. Was GREAT to flash-back to.) Here's a loooong-shot. There was as a "fragrance", I assume aimed at the 12-18 female demographic, named "Heaven Sent" - possibly "Heaven Scent". This was circa 1966-1970?, Chicago market, heavy saturation. There was a rather catchy song they labeled that product with, and played it again, and again, and yet ... again. On those late night drives one takes with that new girl ... who makes one's heart beat faster than the rest, the ambient melodies create the sountrack ... smile. The lyrics go something like: "Suddenly, there's a heavenly fragrance that clings ... it's heaven scent. Suddenly you're an "imp" (imp?) wearing angel's wings ... in heaven scent ... Suddenly you are all of the things that you want to be, a little bit naughty but heavenly ... in heaven sent ... etc." Can you imagine the angst those lyrics would create in the 16 year-old female heart? Angel / naughty? I digress ... I have so many memories tied to that commercial, and people I've kept connected to. Years ago I tried calling radio stations, and even searched the net. I'd do anything to get my hands on that. Might anyone out there in FH-land has ANY clue If, and HOW, I might be able to get my hands on that commercial? Thought fishing in "FH" pool might get a lead? Nice to see the buzz around the old Heaven Sent jingle. 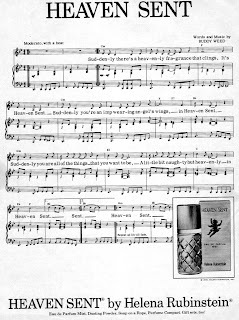 Did you know there was another version of the song -- with different lyrics -- that aired in 1972? I've attached that one (recorded off WQAM that year), along with the earlier, better-known Heaven Sent jingle. IT WAS PRETTY COOL HEARING THE HEAVEN SENT JINGLE AGAIN. THEY SHOULD HAVE RECORDED A LONGER VERSION, IT PROBABLY WOULD HAVE BROKE THE CHARTS!! I noticed in yesterday’s blog that Ron was looking for a copy of Heaven Sent. It took a bit of searching through my collection to find it, but here’s the original Heaven Sent jingle. There were a number of variations recorded over the years, but this is considered to be the classic version. Listen and enjoy! Click here: heaven sent fragrance, great deals on Health Beauty, Collectibles on eBay! Some really great stuff on the Forgotten Hits site right now, like that "Heaven Sent" clip. I remember that very well from WLS and wonder why the song apparently was never expanded into a single. The lyrics certainly captured the essence of my girlfriend at the time! I think the song was Donovan's "Wear Your Love Like Heaven." I can remember the song very clearly. Some people like "Grandma Got Run Over By A Reindeer" a lot. But others don't feel the same and, in fact, the record that opens this show expresses a decidedly different point of view! One thing's for certain. Like it or not, the one thing that record has NOT been over the past 30 years is IGNORED! Just about everybody on the planet has heard it and it is one of the relatively few Christmas records issued during the rock era that has become a true holiday classic. Dr. Elmo Shropshire was a practicing veterinarian in 1979 when he and his wife Patsy, who performed as the Homestead Act, first recorded this novelty song as "Elmo 'N Patsy." The man who wrote it was Randy Brooks. It took four years before their record became an overnight success. There's a bit of confusion because the record has become a charted hit on two different labels with two different versions: first on Soundwaves and then Epic. For openers the Soundwaves version was Billboard's #1 Christmas hit in 1983 and the Epic version was Billboard's #1 Christmas hit in 1984 and 1985. Dr. Elmo tells the story of this amazing and unlikely success, filling in most of the missing pieces that you've all probably been wondering about, including Patsy's initial involvement and subsequent lack of involvement. And his own story is amazing as well. Apart from the 15 minutes of fame that he achieves in December of every year, Dr. Elmo is proud that back in 1956 he was the exercise boy for a horse named Needles which won the Kentucky Derby and the Belmont Stakes and came thisclose to winning the Preakness and (what would have been) the Triple Crown. Dr. Elmo and I had loads of fun doing this show and sharing a few other recordings as well. He was a total delight. When that home page comes up, please click the "Ronnie Allen Theater" (the name has a yellow background) in the picture on the right-hand side. That will bring you to my index page. Please click on "Ronnie's Radio Page" and you will then be able to access the show (it's the first one listed under the blue heading "Current Radio Interview Shows") or any of my previous ones, which are listed in reverse chronological order. It's been a while since I've written to you. Your "Christmas Presents" inspired me to write and offer a few Christmas songs you may not have heard. I scanned my ipod Christmas songs and picked out a few (of the more than 300 selections). I've attached the Hank Ballard tune. "I've been good. I ain't been bad. Santa is coming, and I sure am glad" - gotta love it! If you want any of the others, just let me know and I'll send them along. Happy Holidays right back at ya! What dedication - up at 5:21 a.m. to send the version of Forgotten Hits out. Great stuff as usual, Kent. Thanks for all of these. 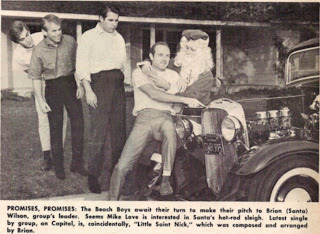 If you get an opportunity, please re-post Debe Welch's "Please Don't Give Me War Toys for Christmas." It's one of our new Christmas faves. Being half - Black and half - Jewish not only gives me the inalienable to use “Yo” and “Oy”in the same sentence, but it also allowed me to gather the best collection of Christmas and Hanukkah Music videos on the internet! I'm proud to present NOOKIE's CHRISTMAS AND HANUKKAH MUSIC VIDEOS! Thanks for the recent "shout out" in Forgotten Hits. We didn't win the contest, but we had a nice showing and a good number of votes. And as the attached Chicago Tribune article shows, there were some voting irregularities. It seems a few people did vote early ... and often! But a fun experience and we've gotten a lot of views on YouTube. Thanks again for all your support of "Santa's Comin' Here! I just found this song on You Tube. I don't remember this song, do you? No, I sure don't. Bobby Darin recorded a Christmas album back in 1960 ... in fact, he even had a minor two-sided hit with the single "Christmas Auld Lang Syne" / "Child Of God" ... but it sounds like this one really pre-dates his own Christmas offering. Not a very good song ... but a novel Noel novelty to be sure. Hope you can let your readers know about Jimy Roger's Christmas CD with Blue Road - it is a CD single with 2 songs, and you can download it from CD Baby - it just went live today. You can also buy the actual CD from us at shows or locally at Gand Music and Sound in Northfield. It will fill the void for some soulful, bluesy, but rockin' Christmas tunes! http://www.cdbaby.com/Artist/BlueRoad Our last show for the year is Dec. 19th at Gabe's Backstage Lounge - it will be Jimy Rogers and Blue Road, and we'll be doing the holiday songs plus a couple more new holiday songs. From "The Joy Of Of Christmas," I would like to feature the Buckinghams Christmas song "Have A Little Faith." It is a song of faith and hope and the promise that things will get better. I would like to dedicate it to all our fine men and women that are making the ultimate sacrifice by putting their lives on the line serving us in Iraq and Afghanistan with the hope and faith that they will soon be rejoined with there families ... our prayers are with them. THANK YOU FOR GIVING THE MONKEES THEIR DUE RESPECT. I'M ASSUMING THEY'RE THE ONLY GROUP IN MUSIC HISTORY WITH FOUR #1 LP'S IN ONE YEAR!! TALK ABOUT IMPACT!! IT REMINDS ME OF THE BUCKINGHAMS, WHO SCORED FIVE TOP TEN SINGLES HERE DURING THE SAME YEAR, RIGHT?